Offering a new perspective on medical progress in the nineteenth century, Steven M. Stowe provides an in-depth study of the midcentury culture of everyday medicine in the South. Reading deeply in the personal letters, daybooks, diaries, bedside notes, and published writings of doctors, Stowe illuminates an entire world of sickness and remedy, suffering and hope, and the deep ties between medicine and regional culture. 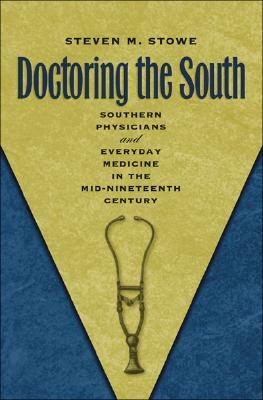 In a distinct American region where climate, race and slavery, and assumptions about "southernness" profoundly shaped illness and healing in the lives of ordinary people, Stowe argues that southern doctors inhabited a world of skills, medicines, and ideas about sickness that allowed them to play moral, as well as practical, roles in their communities. Looking closely at medical education, bedside encounters, and medicine's larger social aims, he describes a "country orthodoxy" of local, social medical practice that highly valued the "art" of medicine. While not modern in the sense of laboratory science a century later, this country orthodoxy was in its own way modern, Stowe argues, providing a style of caregiving deeply rooted in individual experience, moral values, and a consciousness of place and time. Description: Offering a new perspective on medical progress in the nineteenth century, Steven M. Stowe provides an in-depth study of the midcentury culture of everyday medicine in the South. Reading deeply in the personal letters, daybooks, diaries, bedside notes, and published writings of doctors, Stowe illuminates an entire world of sickness and remedy, suffering and hope, and the deep ties between medicine and regional culture. Steven M. Stowe is professor of history at Indiana University, Bloomington. He is author of Intimacy and Power in the Old South: Ritual in the Lives of the Planters and editor of A Southern Practice: The Diary and Autobiography of Charles A. Hentz, M.D. First Patients, "Monster" Disease, and "Inward Satisfaction"
Faith: Knowing What "Passeth Understanding"